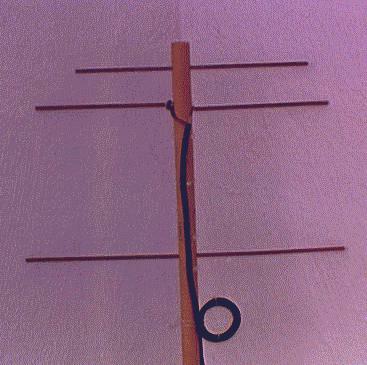 This small yagi was optimized for hunting the third harmonic, 439.695 , on foot. It has great front-to-back ratio as well as front-to-side. The boom is a 3/4" wood dowel and the elements are brazing rods cut to size. Nothing fancy here, but it works great! !